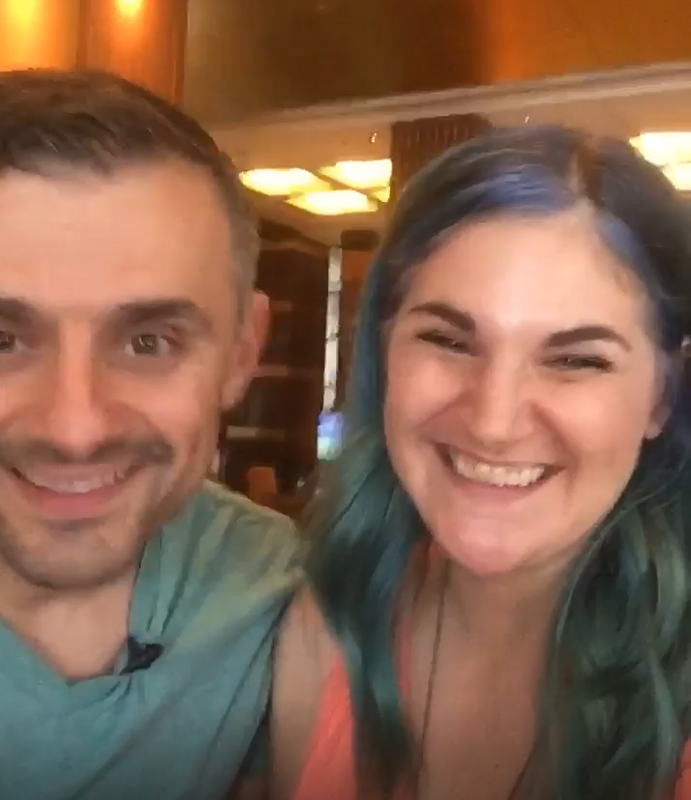 One of my first interviews on BIYF was with Casie Lane Millhouse-Singh, talking about “How to make a GIF trend in under 24 hours”. I trust you employed Casie on the spot!! I have no doubt this is just a small chapter in an epic career, just getting started! Casie is under the impression this interview is responsible for making her the Queen of GIF’s and for this encounter with Gary. I doubt that! Sure, if you search “How to make a GIF trend” that interview appears near the top, but how many people are actually searching that? It was posted in April and as of today has 220 views on YouTube – Not exactly something you’d call viral! It’s because Casie Lane Millhouse-Singh is a rockstar in her own right! I DON’T MAKE TALENT! At best I’m just good at recognizing it! !